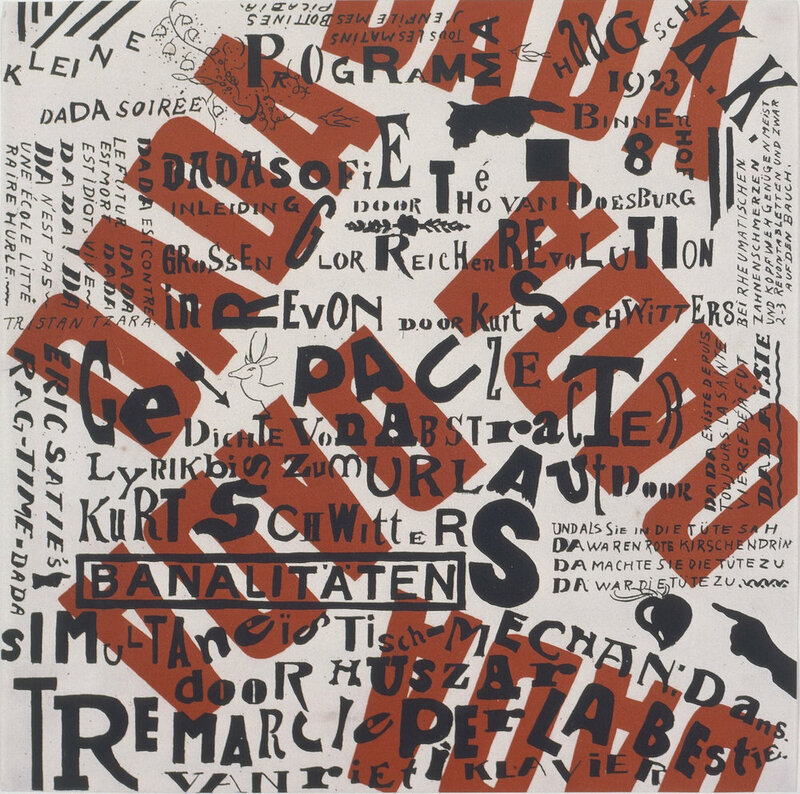 The work “Kleine Dada Soiree” is a poster used by Kurt Schwitters and Theo van Doesburg during there 1923 tour of Holland, a so called “Dada Campaign” that aimed to introduce local artists to Dada through a series of evening lectures and performances. Themost prominent design feature is the word “Dada,” as it is repeated in bold red letters in various orientations. A few small images are visible between the dominant letters, such as a deer’s head, an arrow, and pointing hands. This creates the visual quality of a collage or layered print. Besides the prominent word Dada a variety of slogans in different languages are used, such as: “Dada is against the future, Dada is dead, Dada is idiotic, Long live Dada!” This highlights the early claim of Dada as an international movement.